Do you know where to find copies of your homeowners and auto insurance policies? Does your family know where you keep a copy of your will and trust? Do you file away your bank statements after reviewing your monthly transactions? What about credit card statements? Are you completely aware of your current financial standing? You’re not alone if you answered “no” to any of these questions. Keeping track of all of these documents can be overwhelming and time consuming. But getting your financial documents organized is important–it will help you track your Expenses, calculate Your Net Worth and ultimately, help you determine where you stand financially. 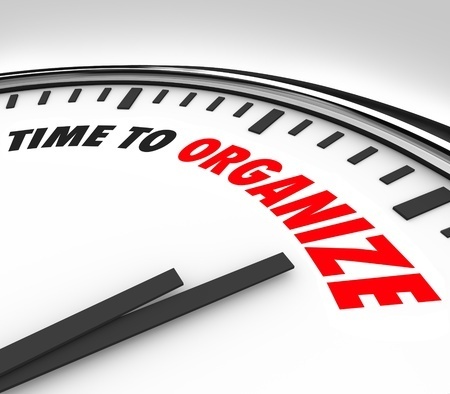 Below is a checklist of the most important files you should assemble and organize. All individual and joint accounts that you have. Include all IRAs, Roth IRAs, and 401(k) statements. For investments outside your retirement accounts. Include any gas or store credit cards. Home Mortgages and Other Liabilities. Include auto loans, student loans, etc. State, federal, and supporting documentation. Updated wills, trusts, as well as durable powers of attorney. Any savings and investment accounts started for your children. Create separate files for each account or plan so your account history is easily accessible. Label them clearly and consider buying a filing cabinet for storage and easy organization. Monthly account statements: one year. Most institutions will issue an annual statement summarizing your account activity. Once that is received and checked for accuracy, you can discard the monthly statements. Tax returns: seven years. The IRS can audit you up to seven years after a return is filed. At a minimum, you should save your state and federal tax returns and supporting documentation for that amount of time. You can get an overall picture of your financial situation and manage your accounts by downloading your statements from the Internet to software products such as Quicken® or Microsoft Money®. These programs also enable you to view and pay bills online, track and analyze stocks, create budgets, and personal balance sheets. To get started, ask your bank or brokerage firm which software product they support. Some may support both. Most credit card companies offer downloadable statements as well. Using Quicken® or Microsoft Money® is a perfect enhancement to your home filing system. BOOK: One Year to an Organized Financial Life: From Your Bills to Your Bank Account, Your Home to Your Retirement, the Week-by-Week Guide to Achieving Financial Peace of Mind- One year isn’t long, but with this book, there’s a lot you can accomplish financially.